Between the hospital visits and the sleepless nights after, I've been doing a lot of reading lately. 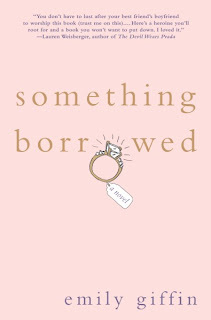 I've just finished "Something Borrowed" and "One Day." Do you see the pattern? Yup, I like reading books that they turn into movies. This was a pretty good book... an easy read. I haven't seen the movie yet, so I'm anxious to see how it compares to the book. The story follows 2 best friends, Rachel and Darcy, one the classic "pushover" (Rachel) and one the popular, pretty one (Darcy). As Rachel turns 30, she finds herself in a sticky situation when she falls in love with Dexter, Darcy's fiance. She must choose between the love of her life, or her oldest friendship. Overall... I would recommend it. The ending was a bit of a surprise, and I'm not sure I cared for the way things were finalized, but nevertheless, it was worth reading. 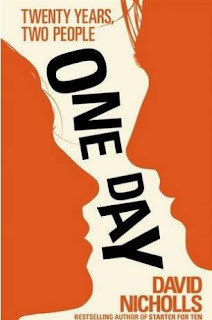 The second book that I just finished today is a must read! It was fabulous! I finished this one in three days and could not put it down. It's the story of Dexter (strange that two books in a row had main characters named Dexter) and Emma. Dexter and Emma meet the day they graduate from college and become good friends. Each chapter begins on the anniversary of day they met, July 15th. Year after year we read about their separate lives, their amazing connection through time, and the struggle between friendship, love, and timing. It's a wonderful book that has left me thinking and wanting more. I highly recommend this one... you have to read it! I'm so excited for the movie that's coming out soon starring Anne Hathaway and Jim Sturgess. It looks so good, I can't wait to see it! Both seems like good reads. I'll have to check 'em out. 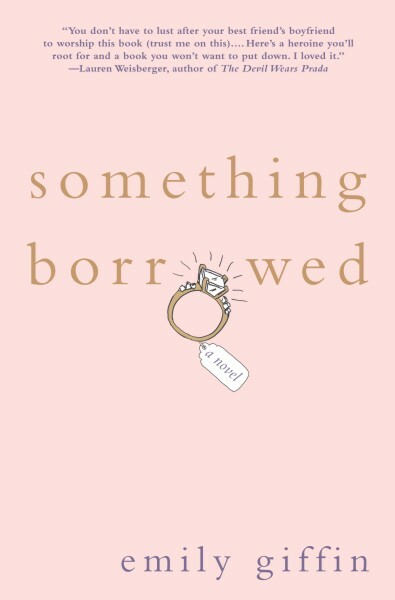 I loved the Something Borrowed book! I want to read The Help and One Day next...I love reading books that they've turned into movies too!